Mr. Mayoral acts as lead counsel in a wide range of banking, securities, and insurance acquisitions, and on regulatory applications to federal and Puerto Rico banking agencies. His practice is concentrated in banking, financial, and insurance regulatory matters, as an advisor for banks and other financial institutions (including international banking entities doing business in Puerto Rico), and insurance companies and producers. He has also acted as lead counsel in a wide range of corporate transactions, including commercial real estate acquisitions and securities offerings. From 1991 until he joined the firm in June 1994, Mr. Mayoral was the Director of the Legal Division of Popular, Inc. Prior to this he served as Legal Counsel to Banco de Ponce from 1982 until its merger with Banco Popular in 1990. From 1990 until 1994 Mr. Mayoral was a member of the Puerto Rico Bar Examination Board and an Associate Professor on Banking Law at the Interamerican University School of Law in 1993 and 1994. Mr. Mayoral has consistently been ranked as one of Puerto Rico’s Leading Attorneys in the Corporate/Commercial field by the renowned international publication Chambers & Partners in its Latin America Guide. 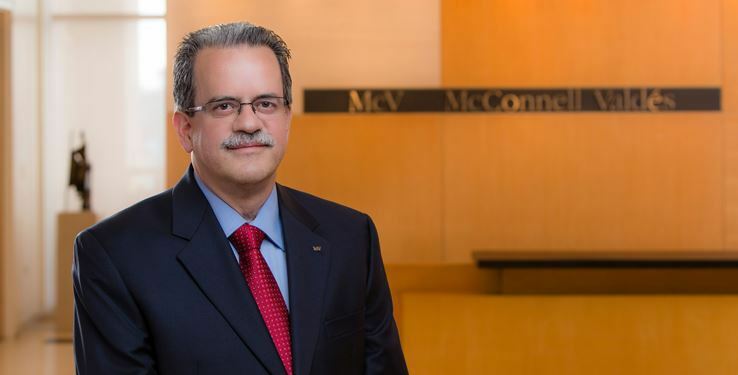 He is also ranked in the Corporate and M&A field of The Best Lawyers in Puerto Rico guide.